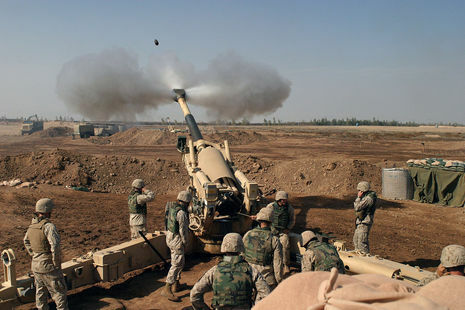 The Second Battle of Fallujah (code-named Operation Al-Fajr - "The Dawn" in Arabic, and Operation Phantom Fury) was a joint U.S.-Iraqi offensive in 2004, led by the U.S. Marine Corps against the Iraqi insurgency stronghold in the city of Fallujah, authorized by the U.S.-appointed Iraqi Interim Government. The U.S. military called it "some of the heaviest urban combat U.S. Marines have been involved in since the Battle of Huế City in Vietnam in 1968." 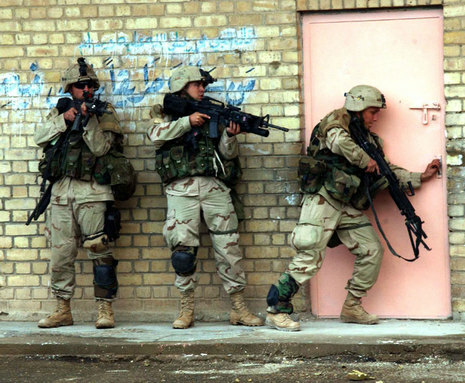 This operation was the second major operation in Fallujah. 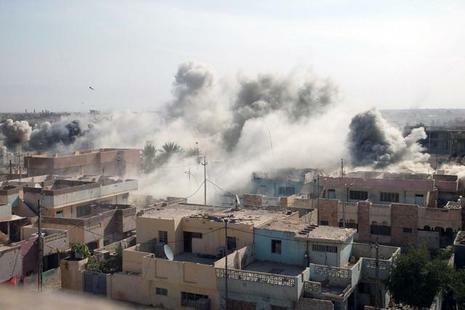 Earlier, in April 2004, Coalition Forces fought the First Battle of Fallujah in order to capture or kill insurgent elements considered responsible for the deaths of a Blackwater Security team. When Coalition Forces (a majority being U.S. Marines) fought into the center of the city, the Iraqi government requested that control of the city be turned over to an Iraqi-run local security force, which then began stockpiling weapons and building complex defenses across the city in mid-2004. 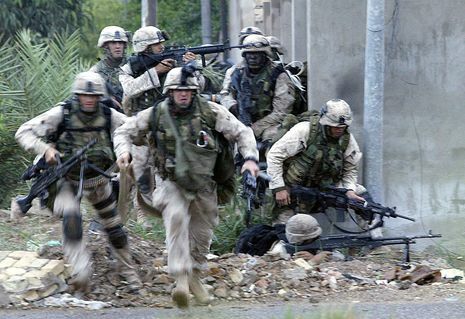 * November 7, 2004: U.S. Marines stage just north of Fallujah. In the city, now under complete insurgent control with no American presence since April, there are a large numbers of booby traps and IEDs constructed and set in place. Additionally, elevated sniper positions have been created along with heavily fortified defensive positions throughout the city, in preparation for a major offensive. American UAVs observed insurgents conducting live-fire exercises in the city in preparation for the coming attack. * November 8, 2004: Operation Phantom Fury begins. * November 16, 2004: American spokesmen describe fighting in the city as mopping up isolated pockets of resistance. * December 23, 2004: Last pockets of resistance are neutralized, three Marines are killed in the last skirmish, along with 24 insurgents. 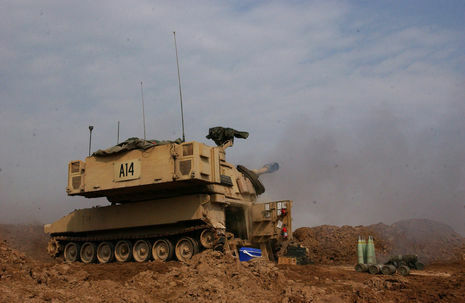 Operation Phantom Fury ends having been the bloodiest battle in the Iraq War to date. * January, 2005: U.S. Marines begin leaving the city.